Virtual Reality made it to the next stage, opening a parallel universe with stunning new opportunities for various industries and possibly becomes a game changer of our daily lives experience. The future of Brands is built around Customer Experiences and this is where Virtual Reality will have it’s strong advantage. The time of a „lean back“ only experience is over. A todays customer is connected and expects to actively steer his experiences. But it’s not only an experience for the buyer, but also for the seller. With the convergence of technology, the possibilities to create a unique world where a product can be set up individually for every VR session, we are going to reach a new dimension of the way we see, hear and feel. VR will help to improve customer experience and optimize the customer journey where emotional engagement, customer understanding and complex, tailor-made or unfinished product sales are creating commercial sticking points. The Center for Digital Change provides a comprehensive range of services to let unfold full VR-potentials. We support from detecting new business opportunities to concept and prototyping up to final development, implementation and rollout. Each project is approached from a visual and sensorial level to create a unique experience for your customers. And also Virtual Reality needs the connex of omnichannel and the right integration into your customer’s journey. „Like being there.“ Virtual Reality takes tourism and travel planning into a next dimension, discovering places bevor having ever been there is a game changer online and at the POS. Virtual Reality turns shopping experience into something new, taking online shopping to it’s dimension. Discovering products like real is just one click away and sameway turns virtual sortiments at the POS into a gamechanging new opportunity. 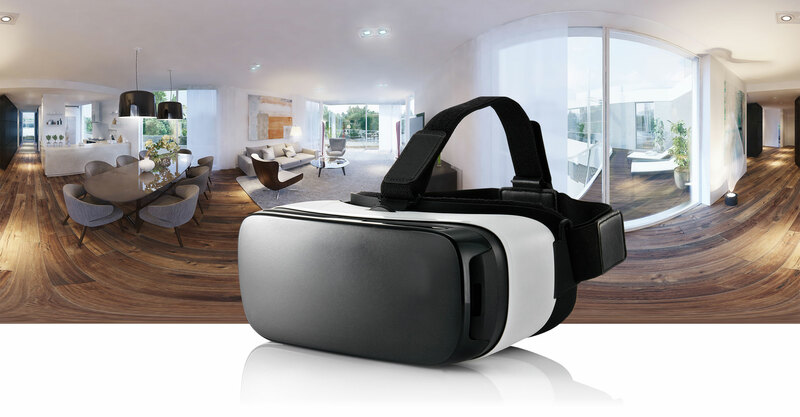 Discover, compare, experience – VR product presentation opens up new horizons in a stunningly live like environment, giving products full flafour of it’s possibilities and usage. Virtual Reality is a gamechanging asset in architecture and construction industry. Setting foot before the first brick is set turns construction same as real estate sales to an inspiring and cost saving standard.